“The Islamic Republic of Iran believes the recent move by the European Union to register and announce its special financial mechanism [for trade] with Iran is Europe’s first step in fulfilling its obligations towards Iran as per a May 2018 statement by the foreign ministers of Iran and the three European countries,” Qassemi said in a Thursday statement. He said Tehran welcomes the move, but at the same time calls for full implementation of all EU obligations in the shortest time possible. “Following the US withdrawal from JCPOA, despite political positions held by the EU about protecting the deal and the need for Iran to gain economic benefits and the limited moves by the EU such as updating its blocking statute, unfortunately we have not seen tangible results and practical moves to Iran’s benefit,” he said. “The EU’s move to create the special financial mechanism was carried out too late and the E3 and the EU must ensure that the move will compensate part of illegal US sanctions,” he said. 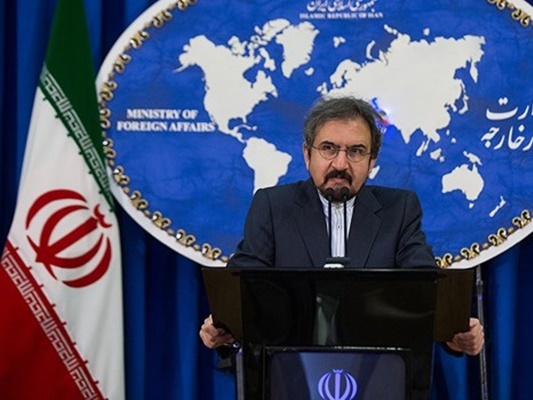 “The Islamic Republic of Iran is ready for continuing constructive engagement with the European Union and its member states based on and mutual interests and respect,” he said. “Meanwhile, considering the limited, incomplete and long overdue fulfilment of EU obligations outlined in the May 2018 statement, Iran believes the bloc must accelerate [the implementation of] this move and the fulfilment of its other obligations to let the Iranian nation reap the economic benefits of JCPOA,” he said. The European Union announced a long overdue special mechanism, called INSTEX (Instrument for Supporting Trade Exchanges), aimed at facilitating trade with the Islamic Republic of Iran in the face of the US sanctions. “INSTEX aims in the long term to be open to economic operators from third countries who wish to trade with Iran and the E3 continue to explore how to achieve this objective,” reads a joint statement by the E3 Foreign Ministers Jean-Yves Le Drian (France), Heiko Maas (Germany), and Jeremy Hunt (United Kingdom) who announced the mechanism on Thursday.